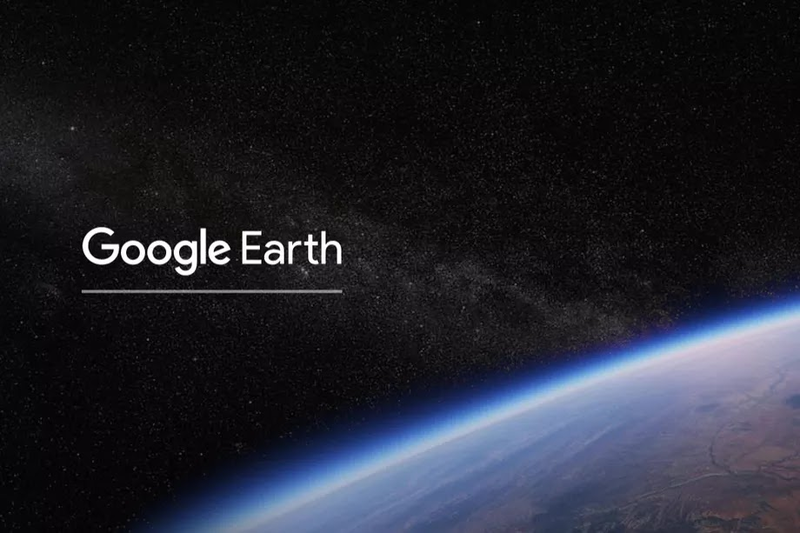 When Google Earth was firstly launched it was the most hyped app of all time because you could see the whole earth from anywhere and everything. I remember when I first used the app and tried to find my home in the map. 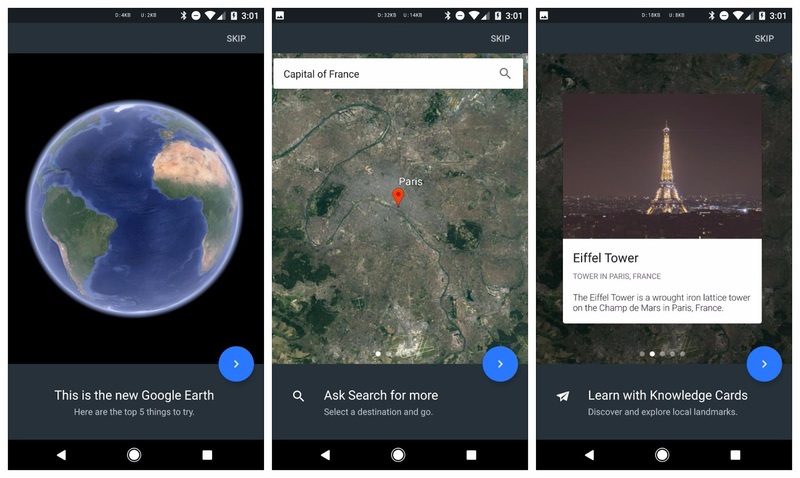 But later on the development for the app was almost dead and it took two years, several hyped rumors, but the revamp of Google Earth is finally here. This app was on version 8.0 since October 2014 with only incremental updates in the meantime, has jumped to version 9.0 with plenty of new things to check out. 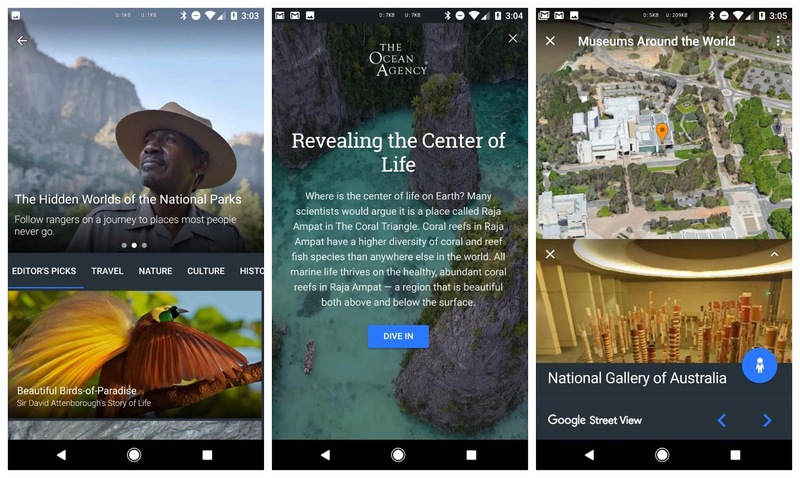 First of all, there are now 50 new Voyager guided tours which marry storytelling, science, and other info to showcase interesting perspectives of our planet. There are beautiful sites, historical locations, fun experiences, and educational content to raise awareness about some of the challenges facing our world as we know it. Second, there is a new 3D view which gives you the experience of almost being at the location you're viewing, flying over and discovering every nook and cranny, whether it's a gorgeous landscape or a bustling city. Also, there are these knowledge cards for places, the 20000 curated locations that you can randomly jump through with "I'm Feeling Lucky," the new postcard sharing capability that sends a link with the exact location and exact angle you were looking from, and the different home tours that let you discover traditional homes around the world. 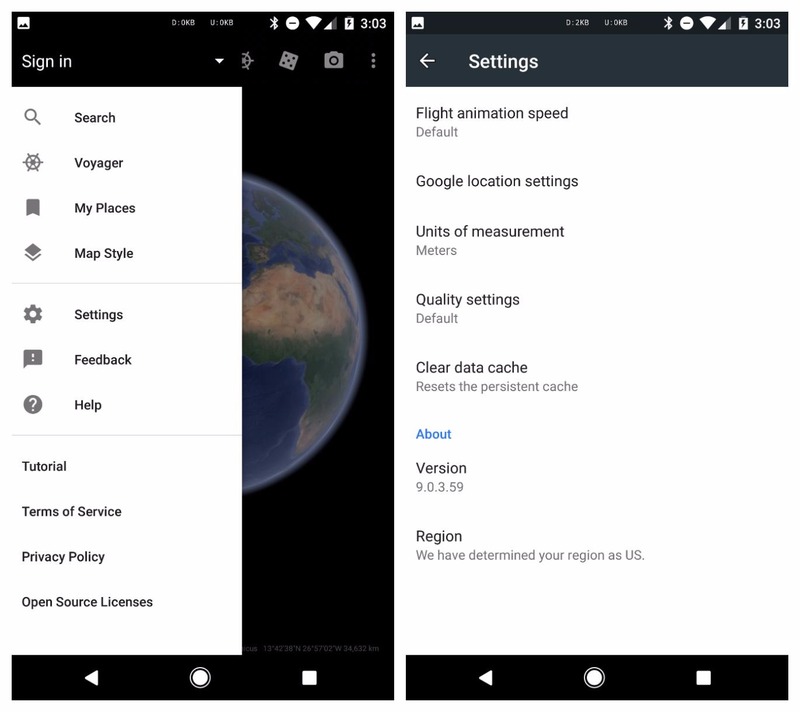 The new Google Earth will be accessible in Chrome through earth.google.com/web and the 9.0 Android version should be live to everyone on the Play Store. But in case it isn't, you can grab the file from APK Mirror. iOS and other devices will follow later.